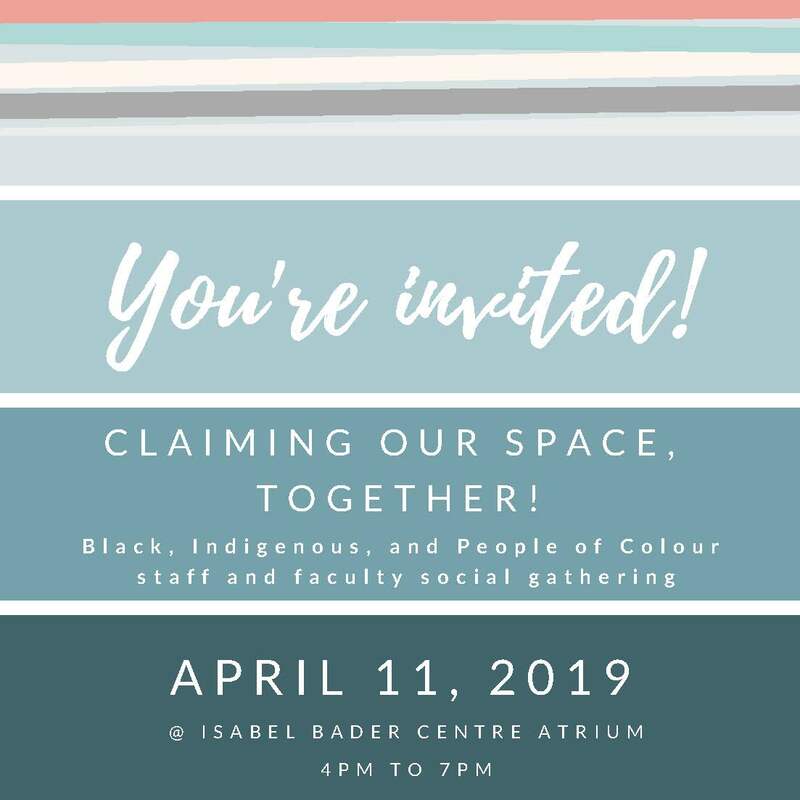 Claiming our spaces, together is an end-of-term social gathering for faculty and staff who self-identify as Black, Indigenous or as a Person of Colour (BIPoC) to connect with and support each other in living well at Queen’s and in Kingston. 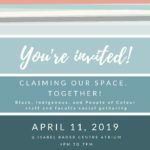 Join other BIPoC colleagues who wish to come together to socialize, share our knowledges and experiences of Kingston/Queen’s, and further establish community. If you are looking to meet and socialize with other self-identifying BIPoC staff and faculty, this is the event for you! – A Brief Introduction to the event. – A “Living Library”: An opportunity to start/join in on conversations with a few experienced colleagues from different areas of the university. – Canapés and drinks: finger foods and beverages will be available, and a cash bar will be open. 4 pm – 7 pm. Please let us know what you would like to see and be a part of (e.g. events, initiatives, resources, etc.) at Queen’s to support racialized and Indigenous faculty and staff experiences on campus. All responses are anonymous and may be used to inform future planning.